Paranjape Abhiruchi Parisar in Dhayari, Pune by Paranjape Builders is a residential project. 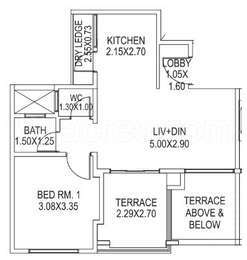 The size of the Apartment ranges in between 398.27 sq.ft. 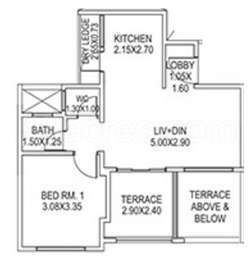 and 2101.0 sq.ft. Price starting from Rs. 42.00 Lacs. Paranjape Abhiruchi Parisar offers facilities such as Gymnasium and Lift. It also has amenities like Badminton court, Lawn tennis court and Swimming pool. This is a RERA registered project with registration number P52100000452. It is an under construction project with possession offered in Dec, 2020. The project is spread over a total area of 6.65 acres of land. Paranjape Abhiruchi Parisar has a total of 6 towers. The construction is of 14 floors. An accommodation of 976 units has been provided. Paranjape Abhiruchi Parisar brochure is also available for easy reference. The sprawling city of Maharashtra, Pune is a major educational and cultural center of India. Lately, the city is developing as an IT/ITES hub with a number of IT companies adding their campuses.  The real estate of the city has been growing with a number of builders moving into the city and developing residential as well commercial projects. Developing infrastructure such as the metro and BRTS lane ensures seamless travel between major localities, affecting the realty market of the city positively. The market experiences an upbeat due to positive buyer sentiments and subsequent developments. Where is Paranjape Abhiruchi Parisar located? Dhayari, a prime residential locality for house seekers in Pune. What size of flats are available in Paranjape Abhiruchi Parisar? 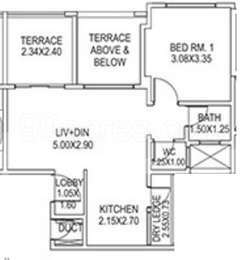 The apartment sizes in the project vary from 403.0 sqft to 2101.0 sqft. What is the area of 1 bhk in Paranjape Abhiruchi Parisar? 1 BHK units in the project are available in a size of 403.0 sqft to 506.0 sqft. What is size of 2 bhk in Paranjape Abhiruchi Parisar? The area of 2 BHK apartments ranges from 475.0 sqft to 750.0 sqft. What is the area of 3 bhk in Paranjape Abhiruchi Parisar? Three-room units (3BHK) in the project are available in an area of 700.0 sqft to 2101.0 sqft. What is total size of Paranjape Abhiruchi Parisar?The project is built over an area of 6.65 Acres. One of the earliest real estate companies to be founded in India, Paranjape Schemes is an illustrious housing and infrastructure firm. It was established in 1930 in Mumbai by a visionary, Mr. V.B. Paranjape. The company has been one of the pioneers of affordable housing in India, offering finest apartments and other living spaces to its customers. Backed by a huge experience of more than 8 decades, Paranjape builders have delighted their customers with finest real estate constructions. aving developed and delivered over 20,000 homes and over 170 projects across different cities in Western Maharashtra. Identifying the need to change with time, Paranjape Schemes has undergone a complete corporate makeover over the course of last three decades. It became private limited firm in 1987, and turned public in May 2005.